Will Halloween hold the key for a Jimmy Butler-to-Houston deal? Two Houston players can be more easily traded starting Wednesday and could be part of a potential deal. 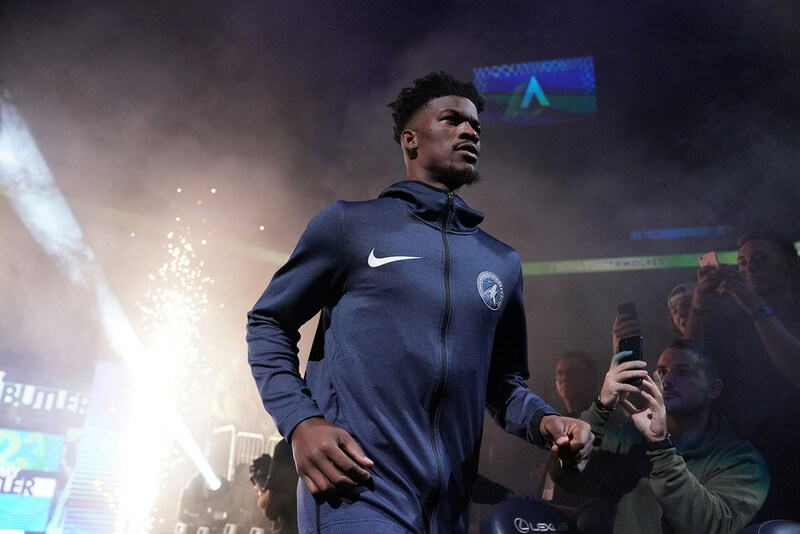 Last week, it was reported by ESPN’s Adrian Wojnarowski that the Rockets offered the Timberwolves four first round picks — in 2019, 2021, 2023 and 2025 — as part of a package for Jimmy Butler. Shams Charania later reported that the deal also would include two injured Rockets players: Brandon Knight and Marquese Chriss. Charania indicated in a video on Stadium that the Wolves have no interest in taking on those two players, but it at least set the parameter for an interesting deal. What’s interesting, though, is that both Chriss and Knight were acquired from Phoenix in late August. Per the NBA’s strange and complicated collective bargaining agreement, they are eligible to have their salaries aggregated as part of a trade package two months after the completion of that deal. That date arrives Wednesday on Halloween, meaning their salaries (close to $18 million combined this season) would be enough to match Butler’s money and make a deal work. Also, one or the other could be included in a deal with other Rockets players more easily once Wednesday arrives. It might be a moot point if the Wolves aren’t interested in acquiring either player. But we should also get ready for another round of Houston rumblings once Halloween arrives. Knight, 26, was the No. 8 overall pick in 2011 and has a year left on his contract at more than $15 million next year. He’s a combo guard who has averaged 15.2 points and 4.3 assists in his career, but he missed all of last season with a torn ACL. He had what was termed cleanup surgery in September and has yet to appear in a game this season. Chriss, a 21-year-old power forward and the No. 8 pick in the 2016 draft, hasn’t played yet this season while nursing an ankle injury but is no longer on the injury report and could make his debut Tuesday. Both players could be rotation players for the Wolves when healthy, but neither seems to be a game-changer. The bigger question looming is just how long the Wolves are willing to sit on Butler before the environment becomes so toxic they are compelled to deal him. They probably bought themselves some time with a 124-120 victory over the defense-optional Lakers on Monday, but they have Utah on Wednesday before embarking on a tough five-game road trip that starts Friday at Golden State. The Wolves are 3-4 now and really have only looked awful in one game — the 125-95 home loss to Milwaukee on Friday. That said, they have had plenty of stretches in various games where they looked out of sorts. If they go, say, 2-4 in their next six games and arrive back home 5-8 while questions about Butler continue to swirl? Maybe a deal gets done sooner rather than later. That was the thinking of Wojnarowski, by the way, on a recent podcast with ESPN colleague Zach Lowe (and yes, it’s hard to keep the chain of ESPN basketball podcasts straight). Starting around the 1 hour mark, Woj and Lowe talked extensively about the Halloween deadline as something that could shake a trade loose, while Wojnarowski talked about how the Wolves’ fortunes could impact a trade. There was also a discussion of how the four first-round picks could be a sliding scale sort of thing depending on who else is included in a deal. Just spitballing here, but what about: Chriss, Eric Gordon — who the Wolves reportedly covet in any Rockets deal — and three first-round picks? That gives you a young asset (Chriss), a player to help you still be competitive this year (Gordon) and a lot of potential future help (three picks). In any event, it sounds as though there will be more to pay attention to Wednesday than just trick-or-treating and the return to Target Center of old pal Ricky Rubio with the Jazz.